Murder by Gaslight: Harold Schechter's The Mad Sculptor. 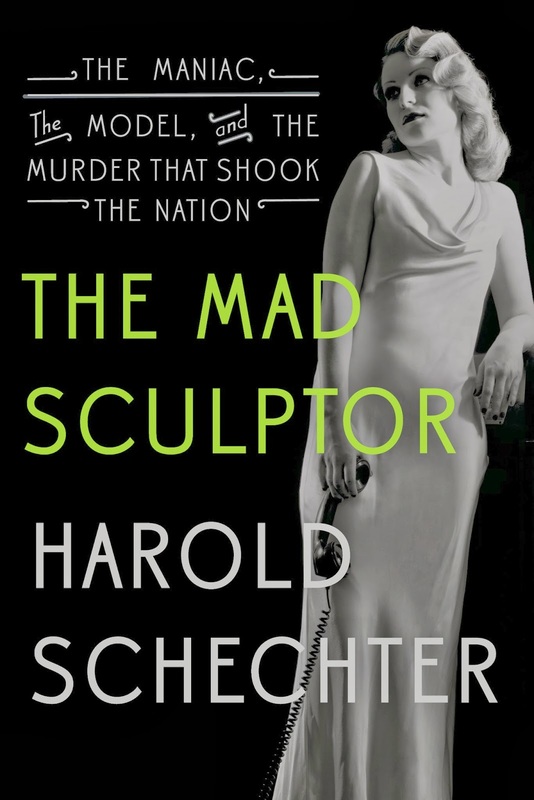 Murder by Gaslight is pleased to be a stop on Harold Schechter’s The Mad Sculptor (Of True Crime) Blog Tour. The works of Harold Schechter have been a part of Murder by Gaslight from the beginning, providing invaluable information on a number of historical murders. His books always deliver compelling stories based on meticulous research, and his new book, The Mad Sculptor, is no exception. Harold Schechter is an American true crime writer who specializes in serial killers. He attended the State University of New York in Buffalo where his PhD director was Leslie Fiedler. He is professor of American literature and popular culture at Queens College of the City University of New York .Schechter is married to poet Kimiko Hahn. He has two daughters from a previous marriage: the writer Lauren Oliver and professor of philosophy Elizabeth Schechter. QUESTION: Describe your process of writing and/or research. “Who do you mean,” said Holden. “I shot him,” the woman said calmly.